The bears took the control of the GBPUSD chart as USD regained some of its strength. Today the manufacturing production data from the UK and the NFP data from the US will bring some volatility to the market. 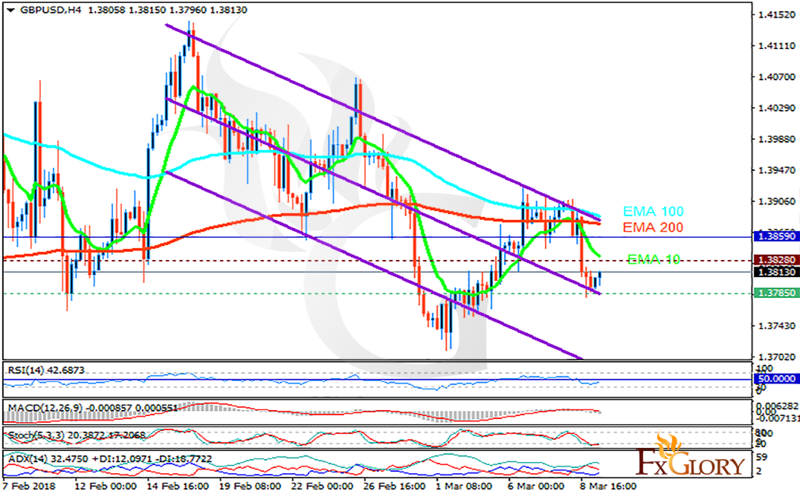 The support rests at 1.37850 with resistance at 1.38280 which both lines are below the weekly pivot point at 1.38590. The EMA of 10 is moving with bearish bias in the descendant channel and it is below the EMA of 100 and the EMA of 200. The RSI is moving below the 50 level, the Stochastic is moving in low ranges and the MACD indicator is in neutral territory. The ADX is showing weak buy signal. The resistance level breakout will push the pair up towards 1.40, otherwise it falls towards 1.37.